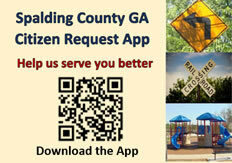 The Spalding County Board of Elections is a 5 member board tasked with overseeing the voter registration process and the conducting of all elections for Spalding County and the City of Griffin according to Georgia Election Laws. The board provides guidance to the office staff in their day to day duties of accurately maintaining the voter rolls and accurately conducting the elections. The Secretary of State's Office has established a secure website and free-access telephone number for provisional ballot voters to access to determine whether their provisional ballots were counted and if not, the reason why: You can access the website by clicking here. The free access number is 1-844-537-5375. Pursuant to O.C.G.A. 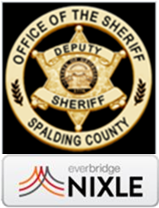 21-2-386(a) (3), this is to notify the citizens of Spalding County that the Spalding County Board of Elections will begin the early tabulation process of Absentee Ballots cast in the December 4, 2018 General Election Runoff at 4:30 pm. Tabulation will take place at the Spalding County Voter Registration and Elections Office located at 825 Memorial Drive, in Spalding County. The Board of Elections and Registration meet the 2nd Tuesday of each month at 10:00 a.m.
at 825 Memorial Drive, Griffin, Georgia.